The Estrellas Poker Tour (ESPT) is a circuit of live poker extremely appreciated in Spain. Last week, the tournament linked up with the second step of its season V, in Casino Cirsa of Valencia. 415 players moved in Valencia to participate in the Main Event with a buy-in of 1,100. After four days of competition, the field was reduced to 8 players at the beginning of the final table. The Day 3 gathered the 31 last survivors of this poker tournament, but the third of the field was eliminated by the two first levels of the day. Jose Antonio Cenalmor was among the first players who left prematurely the poker room of Casino Cirsa. Steve Enríquez and Pablo Botana also were eliminated during the day, respectively in the 12nd and 10th place. The elimination of Peter Baret allowed the last players of the table to meet the eight seats of the final table. 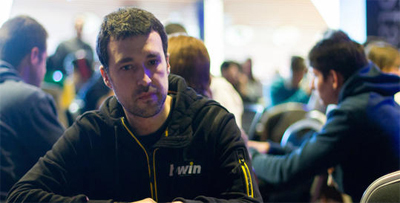 After eliminating Peter Baret, Haritz Doyharzábal was ranked at the top of the chipcount, with a stack of almost two million chips. Thus, Haritz Doyharzábal was leading in the final table with 1,954,000cdhips, but three other players occupy also a comfortable place at the start of this day, with more than one million chips: Jordi Martínez (1,485,000), Benjamín García (1,398,000) and Raúl Alonso (1,196,000). The final table of the Main Event of the ESPT Valencia will be also played with Amir Farhangi (709,000), Vicente Serra (624.000), Fabio Sperling (536,000), and the shortstack José Martínez (255.000).